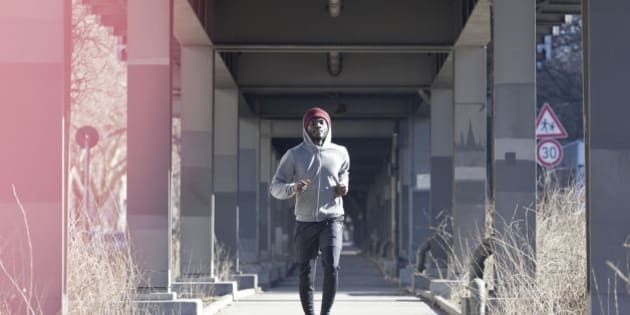 A new study has found truth in the age-old cliché: It helps to focus on a specific target, literally, when walking or running because it makes the finish line appear closer, helping you to get there faster. "People are less interested in exercise if physical activity seems daunting, which can happen when distances to be walked appear quite long," says New York University's Emily Balcetis, an assistant professor in the Department of Psychology and one of the study's co-authors. Dr. Balcetis conducted prior research suggesting that overweight people tend to visualize targets as being farther away than they appear, particularly when they are not motivated to exercise. In the first of two experiments that led to the conclusions for the study in question, 66 adults visited a New York City park and were positioned by the research team at 12 feet away from an open cooler containing drinks and ice. They were asked to estimate the distance between them and the cooler, with half the participants being asked to visualize a spotlight shining down over it and to focus solely on the cooler for a more accurate evaluation. The other half of the participants were allowed to approximate the distance on their own accord and their guesswork put the cooler farther away than those who had focused on it, imagining the spotlight. The second experiment was conducted to improve the experience of working out by means of shortened distance perception. Here, 73 participants walked 20 feet carrying 15 per cent of their bodyweight in ankle weights. Participants were, again, divided into two groups and asked to approximate the distance between them and a traffic cone in their path, with one group being asked to focus on the cone and the other being allowed to guess at will. Those in the focus group estimated the cone to be 28 per cent closer than those in the other group and they also walked 23 per cent faster than those in the natural attention group. They also complained less, reporting the walk as having been less strenuous than participants in the natural attention group had found it.